Wind blows. And if there's energy (and money) to be made from this fact of life, we may as well take advantage of it, right? 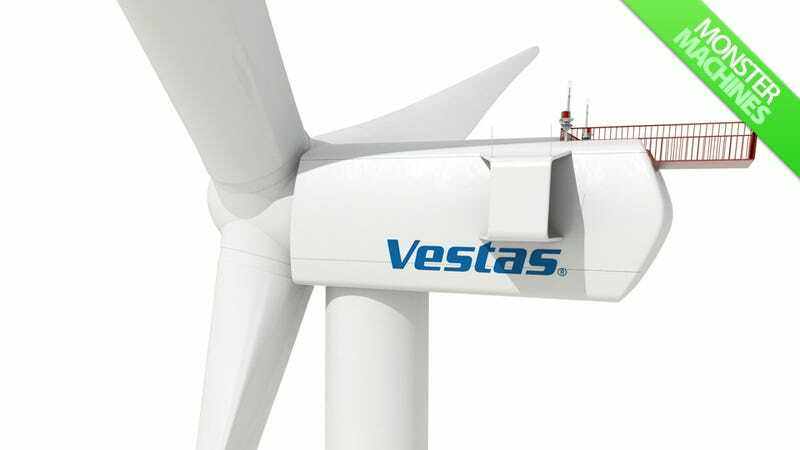 That's what Vestas is doing—and they're using the V164-7.0 MW, a massive, 614-foot wind turbine, to do it. My brain pretty much explodes when I try to comprehend how big this thing is. Its rotor, spanning a diameter of 540 feet, can fit the infield and outfield of Yankee Stadium within it. Twice. Come again?